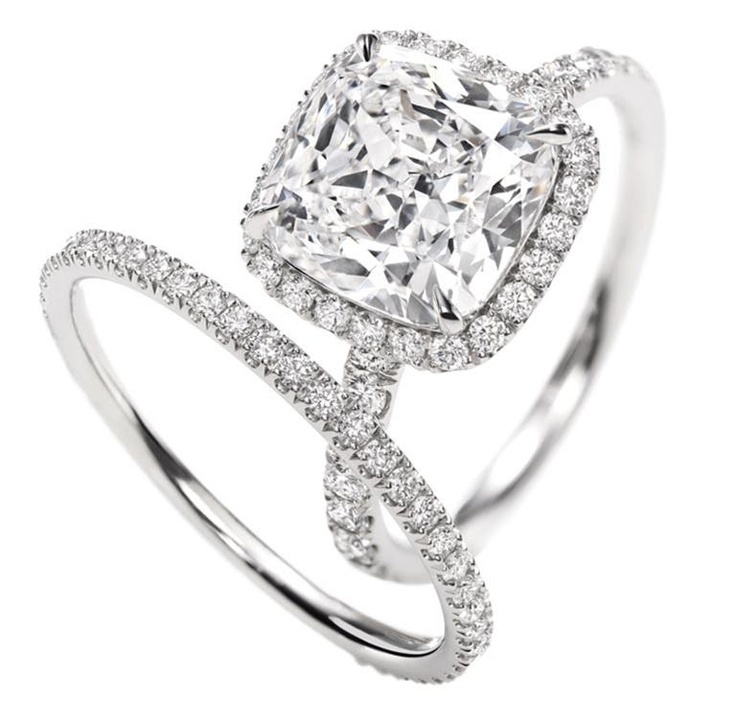 Isn't this Harry Winston cushion-cut micropave diamond engagement ring and wedding band exquisite?!? I fell in love with it the moment I saw it, and haven't been able to stop drooling over it since! I can't imagine many girls would say no to a proposal that included this engagement ring!! !